My interest in the meditation woke up when I was a teenager but it took me years to start to meditate on a regular basis and to benefit more from the meditation. In the meanwhile I became a passionate meditator and learned and used different meditation techniques as autogenic training — what I would consider a body meditation — , variety of breathing techniques, meditation with objects (light, color, candle or healing crystal), meditation with plants and nature, visualization-meditation, guided meditation, Transcendental Meditation. For about nine years I also use the Brainwave Entrainment Technology for my meditation. Meditation is one of the most important skills in our busy lives. Often it is a life saver when it comes to the desire to calm down and relax. Known are many health and self-growth benefits from simply being quiet and spending some time deep in ourselves like better focus, peace of mind, clarity, ideas and insights, body-mind-balance, easier and faster-solving problems, better relationships, better sleep, to address only a few of them. Even though the benefits of meditation are commonly known and meditation gains more and more popularity in the new century, there are many more people who would like to meditate but simply doesn’t find enough time to do so. In last few years that time-issue became also mine. From being used to meditate for about one hour and forty minutes – I spent one hour with brainwave meditation program and two times – mornings and evenings – for about twenty minutes with Transcendental Meditation – I found myself barely having time to sit down and meditate. Zen12 was my rescue! I found this program two months ago and purchased it right away. Karl Moore, who is a founder of Inspire3 and co-creator of Zen12 (and some more awesome brainwave entrainment programs), and whom I have followed on his endeavors in brainwave entrainment technology since 2009, made a big promise in a short video: Karl said, that with Zen12 you can benefit in full from 12 minutes meditation a day and that your meditation progress won’t suffer if you skip a meditation session here and there! This was the perfect solution for me! It may be the perfect solution also for you! 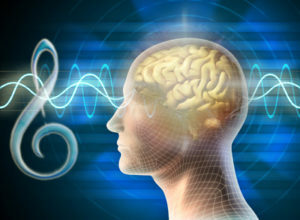 What Is Zen12 Brainwave Meditation Program? Zen12 is an audio meditation program that contains relaxing music or sounds of nature combined with brainwave technology. It means that while — depends on your preferences — you are sitting or lying down to listen to the audio you will simultaneously meditate – Zen12 is actually your meditation. Zen12 leaves you even the choice to listen via headphones or speakers. To gain the full benefits from the brainwave technology infused the piece of music or other sounds you not even need to put your headphones on. You can listen to Zen12 playing quietly in the background. The Beginner, for everyone who wants to start or re-start to meditate. Included are six levels of meditation audios for a half year of meditation. Altogether you will receive 24 MP3 with four different tastes or options to meditate. Every day you have decided to meditate you can choose from audios: The Guided Meditation, Relaxing Music, Sounds Of Nature and White-Noise, to suit your mood which are included in every package and every level. Also included are brief Introduction to Zen12 and one-hour training call with Karl Moore to every level, detailed User Manual and Quick Start Guide in case you don’t want to spend too much time with reading before starting. The Zen12 meditation program is generously packed. You will also receive several valuable gifts (including 25% discount on other Inspire3 programs) two e-books about self-development and self-growth, and one-hour personal coaching call that you can use to speed up your way to peace and freedom. Right now I’m awaiting my coaching call and really look forward to it. I will keep you posted how it went. 12-minutes meditation doesn’t need to be scheduled. However, I recommend setting up a certain time of a day, preferably in the early morning when it is still quiet and peaceful, to meditate and start calm, relaxed and peaceful into your day. Simply sit or lie down comfortably in a place where you can relax easily and either put your headphones on or listen to the meditation program in the background. It is awesome that it is OK to skip a session for one or even more days. And it is also very charming of that program that it doesn’t require any certain sitting position to keep. You can move around, scratch or take a sip of water. All is fine. You are still meditating. Because I’m exposed to numerous distractions while I’m working or meditating, I’m very glad not to have to follow any tight meditation routine. With Zen12 you have the absolute freedom to be as it comes during your meditation. The program is very powerful, and your brain does a lot of work. 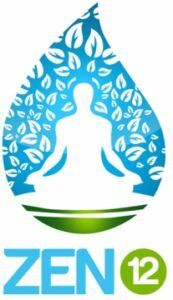 Therefore, it is good to drink a glass of water before and after the meditation so the brain gets enough fluid for its increased metabolism. How Much Does Zen12 Cost? Right now Inspire3 offers the Premium Package of Zen12 meditation program for $87 what is a reasonable price for this awesome product. Very often Inspire3 offers a discount voucher that let you save $50 bucks. My investment was $37 and I can tell you that program is worth every penny of it! The Beginner and Advanced Package you can buy for $67. 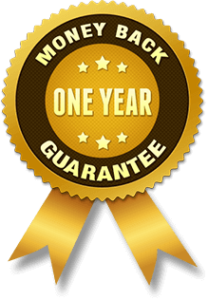 With the generous money back guarantee your investment is in every case secure! I meditate with Zen12 for about two months. 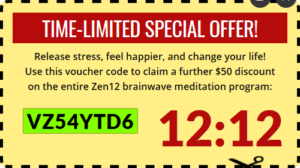 Even though I’m experienced brainwave meditator I decided to purchase the Premium package for I also wanted to try the lower levels and of course the attractive discount made my decision easy. You can pay with Credit Card but also with PayPal what makes the purchase experience more enjoyable. The download is very easy because of the short tracks you download, and you are set up for your first meditation in a few minutes. In the first month after purchase the Levels 1, 2 and 3 are available to you. After the first month, all levels are unlocked. If you – like me – are a quick starter, you at least should read the Quick Guide before you start your meditation. There is also lots of information, Karl will provide for you to support you for the best experience and most benefits possible from Zen12. I was surprised when I was listening to the very first track. I really could feel the impact the program has on my brain. However, the higher levels are more appropriate for me. I started with level 6 and went up to level 8 after only few days. The guidelines of the program support you as much as possible to meditate in alignment with you! I recommend not to hurry through the levels and If your schedule allows to meditate more often during the day. Remember, all you invest in your meditation session are 12 minutes! I listen to the lower levels while I’m planning my daily outcome, create an outline for my next blog or generally working at the computer. The profound Alpha brainwaves increase my focus, concentration and my stamina. I accomplish my tasks easier and faster, and with greater joy. I experience the flow of ideas more often, and my creativity as a writer improved. Next week I will use one of the bonuses; my coaching call is scheduled, and I’m looking forward to it! Summary: The Zen12 Meditation Program is easy to use, very powerful and very efficient, and you can buy it for a very reasonable price. I also would love to read your comment what do you think about Zen12. If you use that product or just purchased it let me know about your experience you made. So, please take a couple of minutes and give me feedback! This entry was posted in Better Sleep, Brainwave Meditation Program, Brainwave Technology, Inspire3, Mental Methods, Review, Zen12. ← Manifest Your Desire With Self Hypnosis!